Luka Modric admitted feeling "drained completely" in the aftermath of Croatia's remarkable run to the World Cup final, but said he is on his way back to his best form for Real Madrid. The 33-year-old started all of Croatia's seven matches in Russia, culminating in their 4-2 defeat to France in the final, and helped ensure Zlatko Dalic's side returned to Zagreb as the country's most successful team of all time. Within a month of the final, Modric was back in action as Madrid played pre-season friendlies and the Super Cup final against city rivals Atletico before their LaLiga season got under way on August 19. Speaking to FIFPro, the World Footballers' Association, Modric described his experience of a unique close season, saying: "When we arrived in Croatia and we saw all these people we were more than surprised. "We drove on an open-top bus for seven hours. We didn't even feel it - we thought we were there for half an hour. "It was so emotional to share all these joys with your people. "I had only three weeks of holidays. I think that was the least since I have been playing football. The first week we spent in celebration, first day in Zagreb and after in our cities. It was not easy to start again; after all these emotional moments you are drained completely." Modric, who was named FIFA Best Men's Player on Monday, has started four of Madrid's six LaLiga matches so far this season, including their 3-0 defeat at Sevilla on Wednesday. 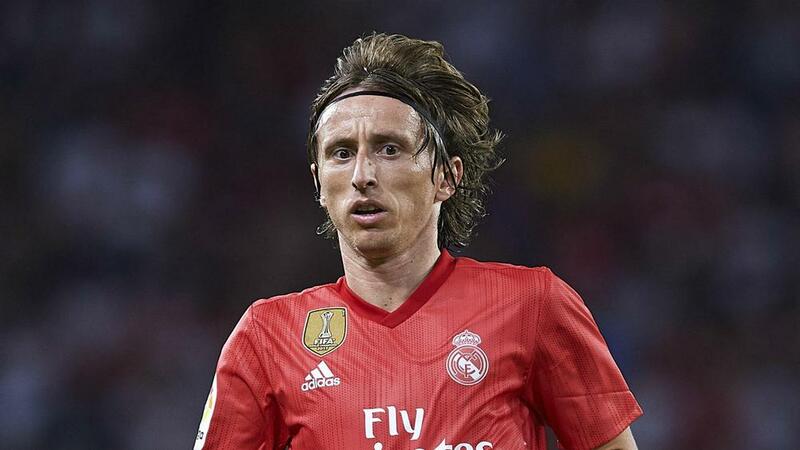 Ahead of his side's clash with Atletico Madrid, who beat Los Blancos 4-2 in the Super Cup, Modric said that he has put the World Cup behind him as he pursues form and fitness. "I needed time to get back to my better level," he said. "Now I feel better and better, and now I need more games to get back to my best. It was not easy. "We were so eager to achieve something great with Croatia and when we did all these emotions came down on us and it's not easy to recover but now we are getting better. "The season has started, we need to forget about it and concentrate on what is expected of us this season."